So you’ve got a great retail business concept and want to get it online, but have no idea which platform to use to move your products off the shelves? There are three popular quality ecommerce shopping cart platforms which online retailers are flocking to – Magento,OpenCart, and WooCommerce. Here, we’ll explain the differences so you can invest in the best suitedcart for your business needs,and start earning money fast! WooCommerce is marketed as a very customisable ecommerce platform, and according to WooCommerce, powers 37% of all online stores. It is however only exclusive to WordPress websites, meaning that if you have built a website on another platform such as Drupal or Joomla, you can forget about it. 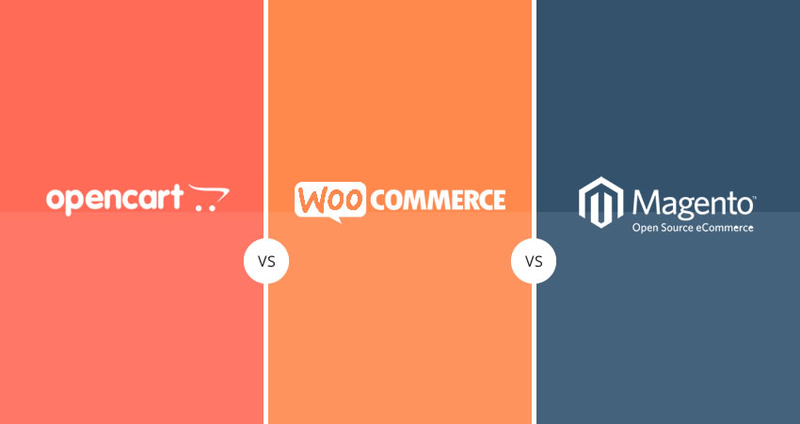 The options with WooCommerce are also limited in comparison to Magento. For example, the number of payment gateways on WooCommerce are only 11, compared to over 900 for Magento, with similar scenarios occurring for marketing and shipping extensions. OpenCart is an affordable and easy solution for basic online shop needs. You could consider this the little brother of Magento. All that’s needed is correct installation, template selection, and addition of your products. However there are limits to the OpenCart design and customisable features. However if your business needs a shopping cart up and running quickly and in a templated format, OpenCart might just be the right option for you. You’ll be able to add multiple stores and currencies, as well as the use of different payment gateways such as PayPal and eWay. However do keep in mind that there will be limited design features and plugins available, as well as keeping in mind that this option is fairly new to the market. Magento is the most customisable shopping cart of the three options and can support the largest businesses. You’ll find cloud-based options, many upgrades and plugins available, as well as multi language and currency capabilities setting it apart If you are looking for a platform which can handle the growth your business may expect over time, then Magento is a good option for you.When it comes to the interface, you’ll find it can do pretty much anything you need it to do. Magento also has great SEO capabilities with title, images, and URL optimisation available, well above and beyond competitor capabilities. If you have a third party such as a developer helping you with your ecommerce website, Magento may be the best option. Magento allows you to access many more options to work with when it comes to customising your user experience and optimising the website. WooCommerce and OpenCart, although easy to use and suitable for small and low traffic websites, do have their limitations and won’t be able to support large growth. To talk to an experienced web developer about your ecommerce shopping cart needs, contact BMC Solutions today on 1300 732 381.